Have you seen our Harvest Appeal video yet? Please consider giving to our Brighton Food Bank. 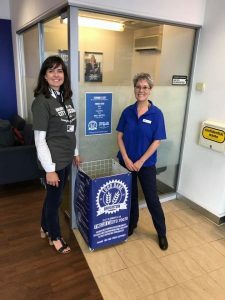 Kerry (video below) is a former client of the food bank who found not just support and kindness from the staff and volunteers, but also a saviour. Your donations will have a far reaching impact to many across our city. Nicky, our Fundraiser, has been working with us for just over a month, we chatted to her to see how she is getting on. 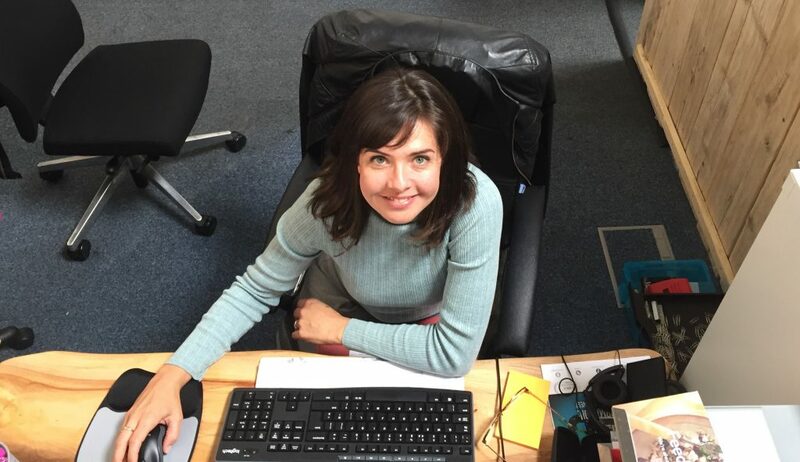 “My first month at BHCM has been brilliant and I’ve been made to feel like one of the family. 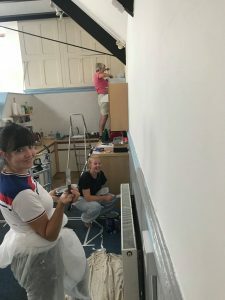 The summer office refurbishment project meant that, while honing my painting and decorating skills, I could get acquainted with my new colleagues and our many volunteers through the natural process of ‘team-building’ that comes with such a project. We have all had to work around dust sheets, wet paint and a furniture reshuffle.There has been a continuous atmosphere of joy and excitement during the process. The BHCM has a fresh new look and similarly, my new role is a fresh new start for me personally. As mentioned in my “Who’s who” bio, my background is church leadership and business. I’d like to think that I’m a people’s person and I feel grateful and privileged to give something back and be part of something that makes a significant difference in many people’s lives in our community. A couple of highlights for me so far include going along with the Rest Homes Team to be a part of their service at one of the homes that we visit in Saltdean; and popping in to personally meet the Community Coordinators of many local businesses who generously support the Brighton Food Bank. These inspiring opportunities give me a real insight into the work of the Mission at grass-roots level and become the fuel for my role as Fundraiser.